It may seem harmless, but you could be looking at jail time! Maybe leaving your pet in the car for a few minutes seems harmless. Similar to how it’s illegal to warm up your car in some states, apparently it’s illegal to leave your pet in the car in 28 different states across America. Published through Michigan State University’s Animal Legal & Historical Center, the law states that those who leave a “companion animal unattended in a parked vehicle” and if the conditions “endanger the animal’s life,” the law is violated. Now some of these state laws take it a step further, allowing individuals or law enforcement to rescue animals without extreme conditions. It protects the right of the animal, while also protecting the individual since whoever left the animal within the confined car is clearly in violation of this law. A majority of these states require that particular people are called upon as the “rescue” squad, which includes law enforcement, firefighters, animal control, first responders or authorized humane officers. However, in 12 of the 28 states above, any person is allowed to save a distressed animal. These states include Arizona, California, Colorado, Florida, Indiana, Kansas, Massachusetts, Ohio, Oregon, Tennessee, Vermont and Wisconsin. But for some of these states, there are a few penalties that limit the civil or criminal liability that takes place at the sceneâaka, breaking into a car. Indiana, in particular, requires the person to pay half the damages that occur when rescuing an animal. West Virginia and New Jersey are the only states that claim leaving an animal in a car unattended as a criminal act but do not provide a rescue provision under these circumstances. The consequences of leaving your pet in the car vary from state to state. Some penalties could mean a fine of a couple hundred to thousands of dollars. Some lists may even require jail time or even imprisonment, including West Virginia and California. New Hampshire’s laws state that a second conviction is a felony offense. Why is it illegal to leave your pet in the car? Well, it’s bad for your pet’s overall health. The temperatures outside affect the heating or cooling within a car when it’s off, meaning your pet could be dealing with extreme temperatures while sitting in your car. A cold car could result in your pet freezing, while a hot car could leave your pet overheating. Those extreme temperatures can be hazardous, which is why you would regret leaving your pet (and these 8 other things) in your car this winter. Even if you’re running into to the store super quick, it’s still unsafe for your pet to stay in your vehicle like this. 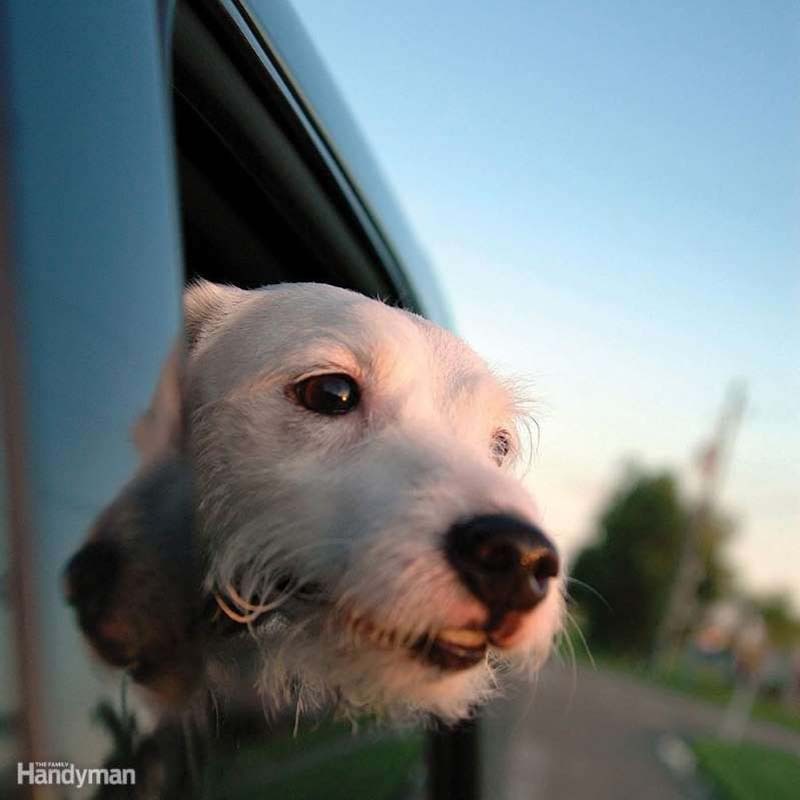 Rolling the window down won’t completely help the harmful conditions your pet may have to face while you’re running your errand. It’s one of the many ways you can protect the safety and health of your pet, along with these 17 best tips for pet care and pet safety.